During the summer of 2017, many Canadian diabetes groups were made aware of an increased number of rejected applications for the Disability Tax Credit (DTC) by people living with diabetes. A public letter was sent to both the media and finance department asking why the Canada Revenue Agency seemed to be implementing a policy change when there had been no change in legislation. By December of 2017, the Senate Committee on Social Affairs, Science and Technology convened to discuss this issue. They met with various groups in February of 2018. The committee heard from a variety of groups and individuals including key players from the Juvenile Diabetes Research Foundation (JDRF) and Diabetes Canada. They were told that both the DTC and the (Registered Disability Savings Plan)RDSP are underutilized despite the potential to offer great assistance to qualifying individuals. The current DTC is only of financial benefit to those who have an income because it is a non-refundable tax credit. Individuals with little or no income are not applying and therefore are not eligible for any further assistance in the form of grants available from the RDSP. They were told that currently the CRA (Canada Revenue Agency) employees are being given the power to overrule the certification of a medical doctor. This suggests that the employees somehow have greater knowledge of a person’s medical condition and restrictions than that of a physician. JDRF and Diabetes Canada also requested that the 14 hour minimum for life sustaining therapy be removed. They noted that similar health burdens and financial challenges occur for all people with type one diabetes regardless of the time spent. 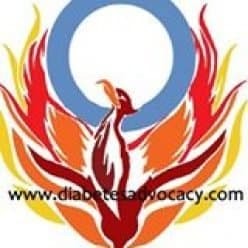 They all require the same activity restrictions and higher costs associated with administering insulin regardless of whether it takes 10 hours or 14 hours per week. Finally, the committee was advised that people with life-long conditions, like diabetes, are being forced to reapply for the disability tax credit. This is a waste of time and resources. On June 27th, 2018 the Senate Committee on Social Affairs, Science and Technology released its recommendation on the Disability Tax Credit and the Registered Disability Savings Program. These are the ones that apply to people living with diabetes. Allow people to keep all contributions made to their Registered Disability Savings Plans for periods in which they qualified for the Disability Tax Credit. Work with all levels of government to ensure that all people with qualifying disabilities over the age of 18 can access the Registered Disability Savings Plan program.